With vision and enthusiasm of managing real businesses, Kazunari Shirai is managing a variety of companies and businesses, from Italian clothing brand Costume National, asset management office Sequedge in Hong Kong, to Zenkoukai, a leading nursing care business in Japan. After he took over his father’s business in 1998, he formed a very unique global investment group, Sequedge Group, specialized in principal investment in companies utilizing only its own capital. 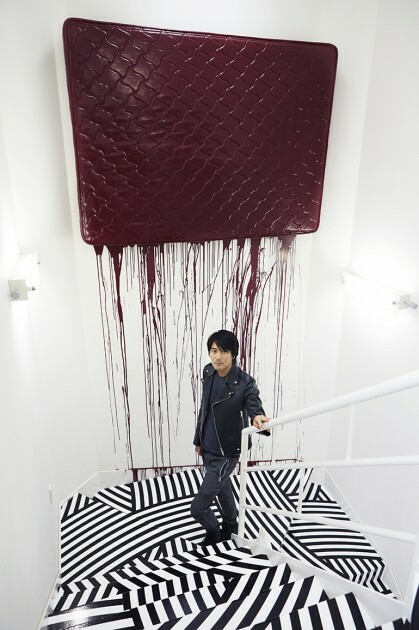 He maintained a low profile in collecting art – being media-shy, soft-spoken and internationally mysterious, he is referred to as the “unicorn” amongst Japanese collectors. 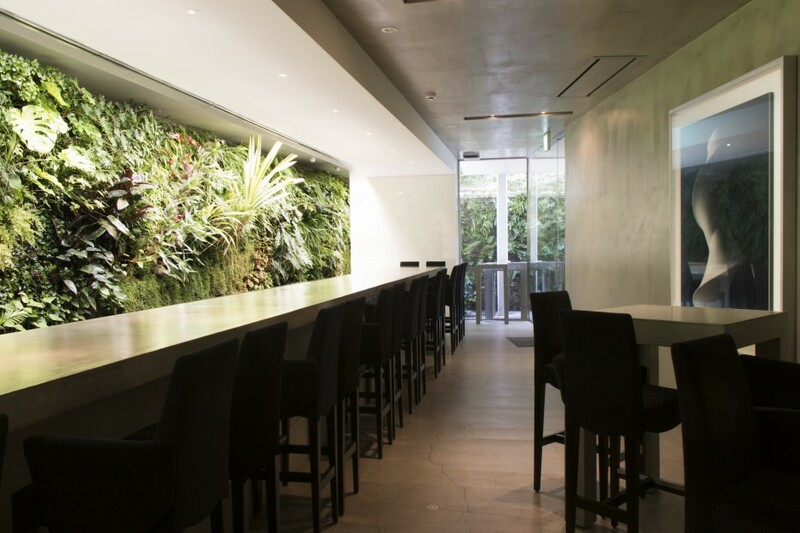 Larry’s List writer Yuri Yureeka Yasuda sat down at Kazunari Shirai’s sleek Aoyama office building to have his first online interview ever! Kazunari Shirai next to Sean Landers, Dumb Dumb, 1993. Photo: Satoshi Miyazawa. Courtesy of Kazunari Shirai. How did your passion for art develop? Do you remember your first purchase? From an early age, I’ve been intrigued by “design”, and in particular, studying beautiful ones in cars, bikes, and buildings. Over the years, I’ve experienced a growing passion for interior design. So as a natural extension of this, I discovered joy in art, which in itself, is a “design” on a given canvas. I like to purchase artworks that are aesthetically pleasing, and the process of deciding where and how to install it, and or looking for an artwork that will match a specific space also adds to the excitement of collecting. 15 years ago, I purchased my first artwork by Wolfgang Tillmans. Or no, maybe it was Yayoi Kusama. I can’t remember which, but I do remember I bought it from a friend at Wako Works of Art (Tokyo) and Ota Fine Art (Tokyo). They were both intuitive purchases. Wolfgang Tillmans, “red eclipse”, 2000. Courtesy of Kazunari Shirai. 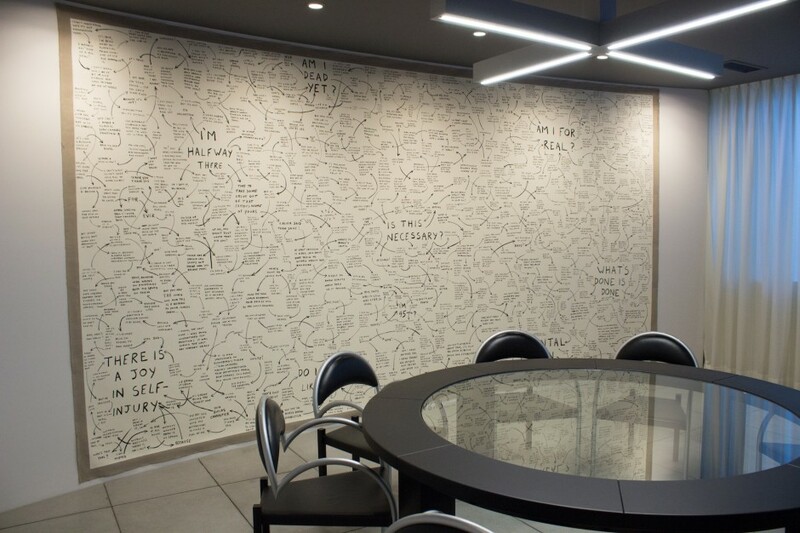 You have a strikingly coherent collection that oozes style; edgy and often monochromatic artworks. How do you build your collection and does your collection represent who you are? To be honest, I am not exactly sure myself, but I presume one could say so. My artwork could be perceived as a way of self-expression. Possibly that’s why professionals from the art world have told me that my collection is consistent without calculation. I’m active, have an equally strong passion for motorcycles, and love to explore; yet I am not necessarily an extrovert or welcoming for public attention. I hardly ever do interviews! I prefer not to be “famous” or known to strangers. So in relation to my art collection, I’m content if it remains different and unique. No way am I trying to impress anyone. I like keeping things simple and smart, in all spectrums of my life. Artists that highlight Japanese sub-culture like that of Murakami and Nara has grown to become internationally recognized and I think that’s great. I personally am not interested in this type of colorful “kawaii” art, no matter how “serious” it is now considered to be in the market. I have several works by Japanese artists such as Sugimoto, Miyajima, Ohtake, Nawa Kohei which are less figurative. The case with the Borremans from the “Girl in Hands” series hung in my office is an isolated case. Having a portrait painting of a woman is very rare in my collection. I used to have a couple of artworks by him but I returned it to the gallery when the gallery owner asked for the artworks. So when the artist was visiting me and asked whether I had any of his works in my collection, I told him that I was just about to purchase one. And I decided on the portrait of a girl. Do you have a theme for collecting? What makes an artwork appeal to you? I’m aware it’s important to have a theme for building a strong collection, but I actually don’t have one. I admit I lack concern on the philosophical or theoretical message of the artwork, but rather, I place emphasis on the physical and visual appeal. Do I like how it looks? Yes or no. I’m very simple like that. When I see an artwork that immediately captivates me, this gut feeling is something I ultimately rely on. I have noticed over the years though that I am attracted to works with languages and text. The deeper meaning of a work or the artist’s background is something I appreciate, but affects me 10-20% in making a purchase. 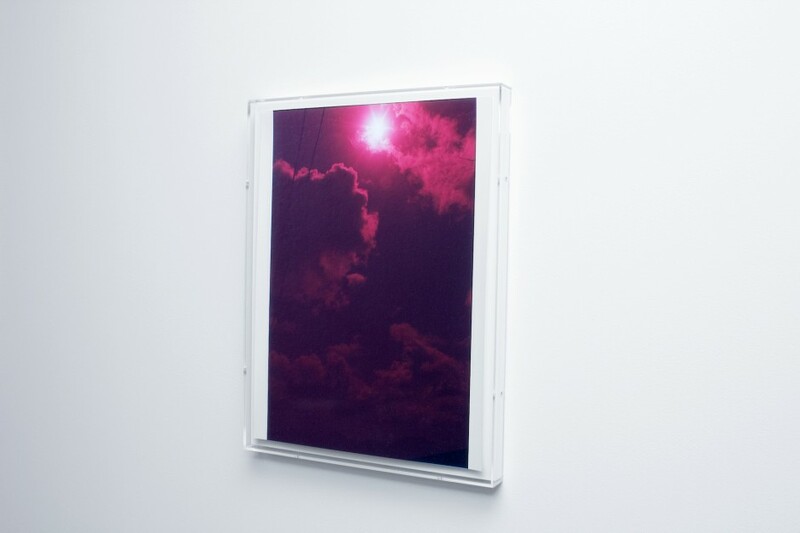 Sean Landers, “Fiat Lux”, 2008 (in part). Courtesy of Kazunari Shirai. How many pieces do you have in your collection? Have you ever displayed this in a public exhibition? More than 400 pieces. The majority are stored in the warehouse or hung throughout my properties. I organized a private exhibition called “Beyond The White” at Takeo Obayashi’s gallery-guest home, Yuan, around 3-4 years ago. The theme was “all white” and all the works shown were just that. We showcased works such as Isa Genzken, Yayoi Kusama, Sean Landers, Wolfgang Tillmans at the exhibition, which went on for one month. Works by William Kentridge, Yayoi Kusama and Wilhelm Sasnal at “Beyond the White” exhibition. Courtesy of Kazunari Shirai. Would you ever consider doing an “all black” show in the future? How often do you change the display? The shortest time span would be within 3 months, or up to 2-3 years. Do you have any plans to show your collection overseas? Do you loan any of your works to exhibitions and museums. I have no plans on doing that. Honestly, I don’t think my collection is that amazing, but who knows. eg. William Kentridge, “Drawing for Il Sole 24 Ore”, 2007 to the National Museum of Modern Art, Kyoto, the National Museum of Modern Art, Tokyo and the National Museum of Modern Art, Hiroshima; Isaac Julien, “Fantome Afrique”, 2005 to the National Museum of Modern Art, Kyoto and the National Museum of Modern Art, Tokyo. 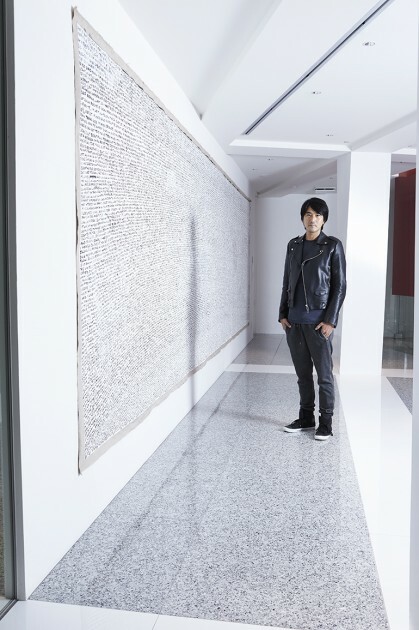 In Kazunari Shirai’s office: Tatsuo Miyajima, “Changing Time with Changing-Flower”, 2015. Courtesy of Kazunari Shirai. Do you have a collecting style or policy like meeting the artist before a purchase? I purchase from galleries, and less so from auctions. Studio visits and meeting artists can be fun, and I think that is one way to enjoy art, but I don’t particularly make personal relations a foundation for collecting. I much rather purchase an artwork based on the piece itself. Why do you choose to share your collection in the office as this is quite a rare practice in Japanese standards? Confined space has the power to create a tense and uncomfortable atmosphere. I want to break this mood, and art does that. 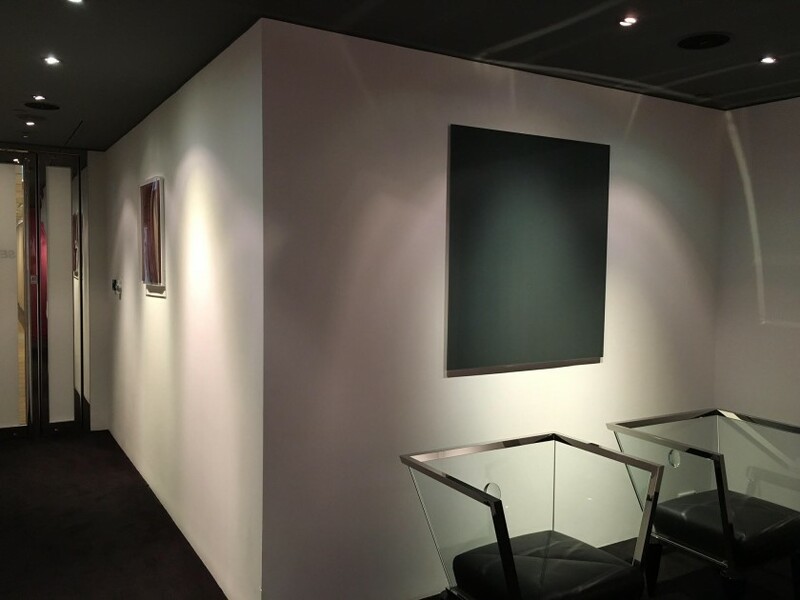 It unifies the space by existing, so I display my artworks in the office to achieve that level of living comfort. Having said that, I like to keep things as minimal as possible while doing so. Jim Lambie, “The Strokes Stairs (Black & White)”, 2016, and “I didn’t know I loved You Til’ I Saw You Rock’n Roll”, 2008. Photo: Satoshi Miyazawa. Courtesy of Kazunari Shirai. What is your favorite or most treasured artwork in your collection? 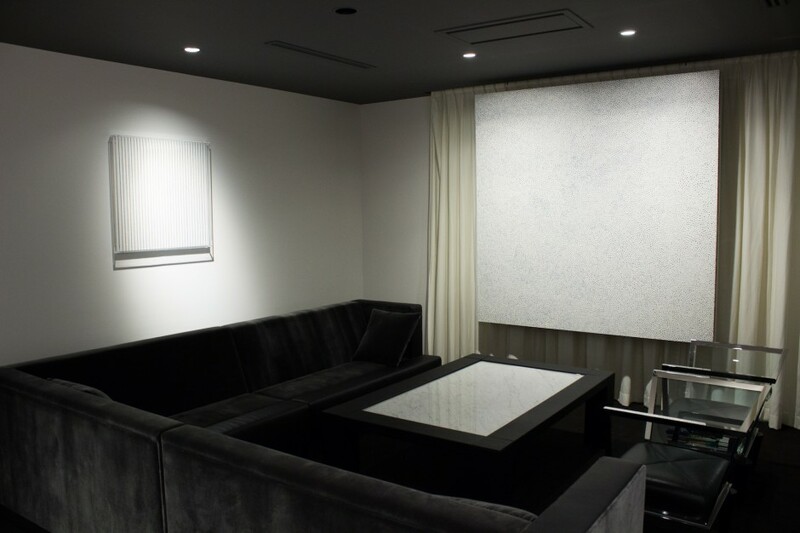 Possibly the artwork displayed upstairs by Yayoi Kusama (2008). I have 3 artworks of this Infinity Nets series. Compared to her work hung on my wall here with its side canvas painted in black, the one upstairs continues its pattern all the way onto the side canvas. 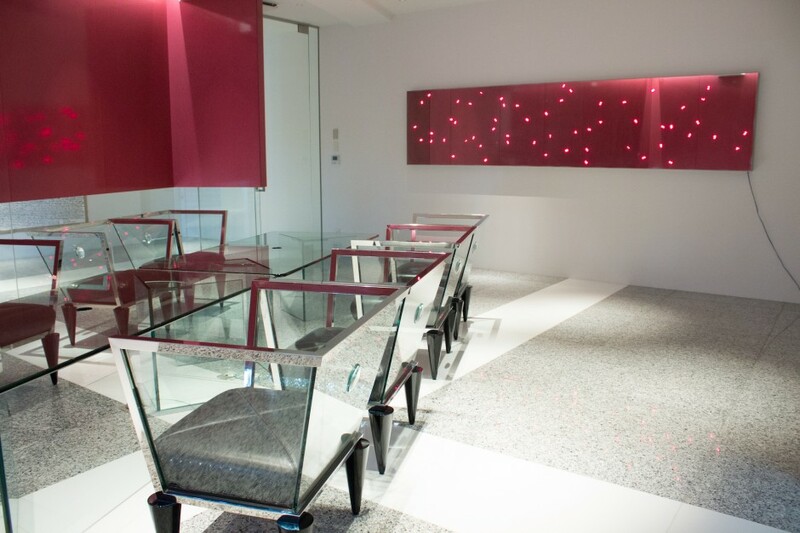 The design envelopes all visible surfaces with an intricate lacey feel and evokes a femininity, which I value. Rosemarie Trockel, “Untitled”, 2014 (left) and Yayoi Kusama, “INFINITY-NETS (ABCTO)”, 2008 Infinity Net Series. Courtesy of Kazunari Shirai. 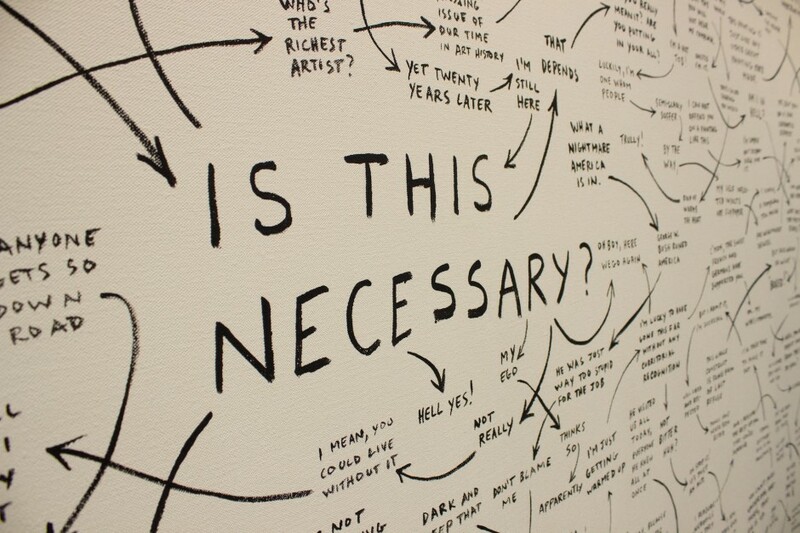 Are you focused on collecting contemporary art? I purchase what I physically deem pleasing, so I don’t have a preference of a certain period or media. But I find myself drawn to abstract art. Do you attend international art fairs such as Art Basel, Armory, Frieze? Any memorable purchase? I always look forward to Art Basel every year. I have many gallerist friends in the art world, so I receive their booth information beforehand, and usually do my homework before attending the preview. Do you have any emerging artists you are keeping an eye on/interested in? Rosemarie Trockel, a German female artist has caught my attention. She constantly changes style and technique, but her work is never arbitrary. Rosemarie Trockel, “Untitled”, 2014. Courtesy of Kazunari Shirai. Sean Landers, “Fiat Lux”, 2008. Courtesy of Kazunari Shirai. You own many companies from Italian clothing brand Costume National, asset management office Sequedge in HK, to Zenkoukai, a leading nursing care business in Japan. Do art funds or asset management through arts interest you as a business? Do you collect art for pleasure or from an investing perspective? People may criticize the concept of making money through art, however, circulating money and using capital is essential for building an art market. Some may say it lacks romance and “devalues” the true meaning of art “appreciation”, but having an opportunity to revive the art market in the forms of “art funds” can be a great and a powerful tool. Without an active movement of capital to create a market, artists and galleries cannot prosper. Moreover, in order to control the fluctuation in prices, I think it is important for some financial institutions to participate in the market. Inevitably though, since the art market is small-scaled compared to the financial market, we must consider how to eliminate the risk of price rigging, but this is not limited to art. We need to solve this issue on a worldwide level by exploiting the spot market around the world. Josef Albers, “Homage to the Square [Memorial A and Memorial B]”, 1962 (pair on the wall) and Wolfgang Tillmans, Lighter IX, 2007 (by the window). Courtesy of Kazunari Shirai. 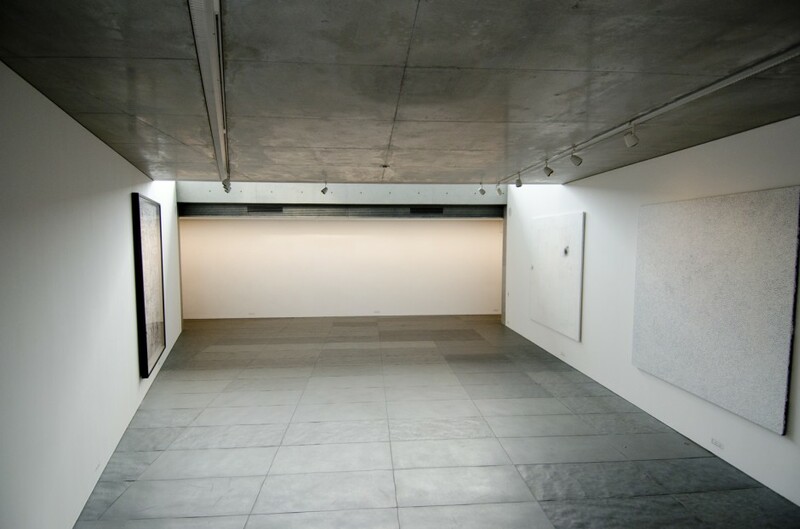 As often, the shared concern amongst Japanese collectors is the dwindling future of Japanese contemporary art and artists. Do you have any thoughts on this issue? If I had the power to change the situation, I would love to encourage artistic production in Japan, but quite frankly speaking, I don’t have the manpower to do this. Instead, what I can do on my part is to purchase artworks one at a time and contribute to the market. Without a market, artists cannot survive, so collectors or buying is an important element. Although the Chinese market consists of speculative and often fraudulent businesses, wealthy Chinese purchase lots of Chinese contemporary art – they cultivate their existing domestic market while bringing new value to the artworks. In order to see growth in the Japanese art market, there needs to be more domestic patrons and overseas collectors to purchase Japanese artworks. Let’s look at Japanese collectors purchasing artworks from abroad from a macro-economic perspective. Acquiring foreign artworks that expect great profit can obviously be a good future investment for Japan. Worst case, it leads to huge disaster- as seen in the 90s after Japan’s economic bubble burst. There was an inpour of western masterpieces purchased for radically expensive prices, from Monet to Picasso to Cezanne, and sold off inevitably at a great loss within mere years. Another memorable incident- when the Japanese real estate company bought New York’s Rockefeller Center in 1989 for almost 1 billion USD at the time lost over half of the purchase amount. The property was wildly inflated and obviously a misadventure based on excessiveness. Personally, I like to purchase artworks by Japanese artists and show my support where possible. But of course, I will continue to collect extraordinary works by artists overseas too. It’s not a matter of one or the other for me. Patrick Blanc, “Vertical Garden”, 2011. 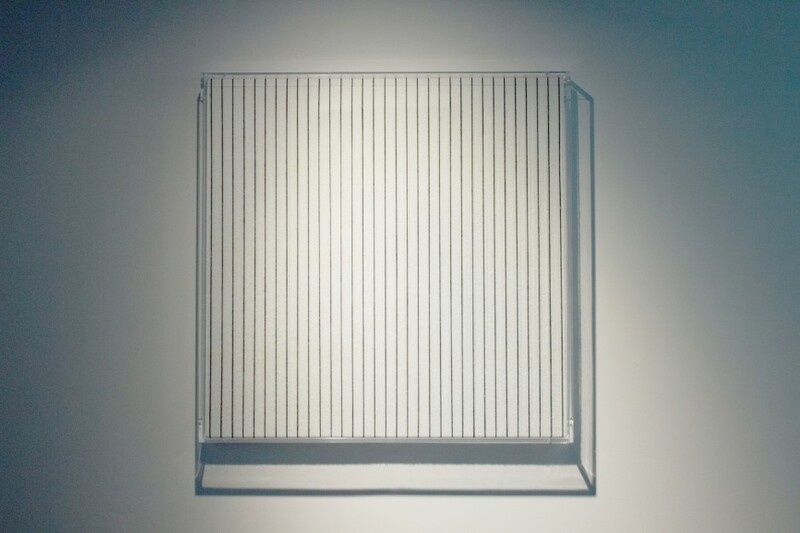 Hiroshi Sugimoto, “Mathematical Form: Surface 0003″, 2004. Courtesy of Kazunari Shirai. Do you have advice to young art collectors? I’d say it’s critical to buy and live with “real” works. When I was in high school, I used to purchase a lot of posters of Lichtenstein and Rothko because I liked the design. In my 20s, I hung these posters in my office!! But posters are different from the real artworks – they are one dimensional and don’t speak to you. Paint and canvases are different, they carry weight. I would advise young collectors to purchase a real artwork, anything affordable you find at an art fair or street market even. But to appreciate the vibes a painting exudes, the ambiance it can build in a room, these intangible qualities is important to feel at an early stage. How has art collecting changed you as an individual? It has made me become more objective of myself. Reflecting on the works I have collected, it has allowed me to realize my own taste and way of thinking. By being well-off in my business, I am able to collect art, interact with talents from around the world, and gain inspiration. Truth be told, when I was younger, I loved sketching and designing and thought about pursuing a creative career. However, reality was that I wasn’t good enough to become a self-sufficient artist. I lacked the skill and vision and was able to only satisfy myself. Art is something that needs to be shared, and without talent – I was at the bottom of the pyramid. However, by earning enough to be able to purchase art, I now have access to the top of the pyramid, which would have been impossible to climb otherwise. Art collecting allows me to be in touch with the world’s best, and I’m genuinely very grateful for that. Daniel Buren, “Peinture acrylique blanche sur tissu rayé blanc et bleu, Juillet 1970″, 1970. Photo: Satoshi Miyazawa. Courtesy of Kazunari Shirai. 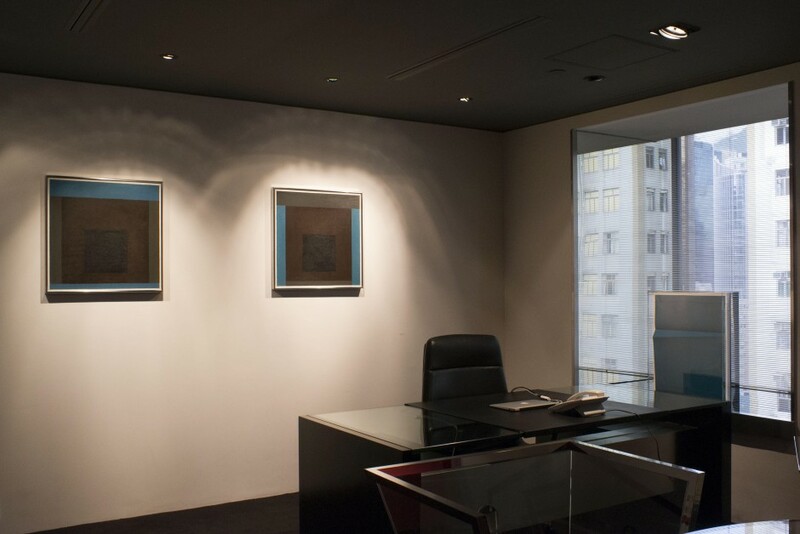 and Gerhard Richter, “Mirror, Grey (739-2)”, 1991 (right), in Kazunari Shirai’s office in Hong Kong. Courtesy of Kazunari Shirai. What I believe makes a strong artist is their ability to tell a story or deliver a message, and commonly said, one that stands the test of time. The level of artistic skill or technique often doesn’t matter. Its more their avant-garde concept, their powerful idea, their underlying message that really transcends into genius works. Art is not always pretty or straightforward; often it’s complex and elusive. In either case, I’m attracted to the ones that speak to me. Artists who define their own value are the ones I respect. Take for example, Jeff Koons – he is his own brand, and I think this is what makes him and his art amazing! Creating a whole new set of values and changing the market is a true talent. Changing the norm and being disruptive is something spectacular. When the iPhone came out 10 years ago, there were many conflicting opinions in Japan- In terms of its technology, it didn’t introduce any revolutionary technology. The gadget consisted of old spec forms organized in a new “fashion”. Many Japanese technicians and analysts didn’t think it was a big deal at all. However, the iPhone appealed to the “lifestyle” of modern people, it wasn’t just another mobile phone. Photographs weren’t considered as art until quite recently, and someone like Hiroshi Sugimoto took it to another level. Having the power to change the standards of a society is something I admire. My opinion on this remains the same even if ideas are strategically executed with the use of media and power games. Ultimately, it takes talent to get one’s way. 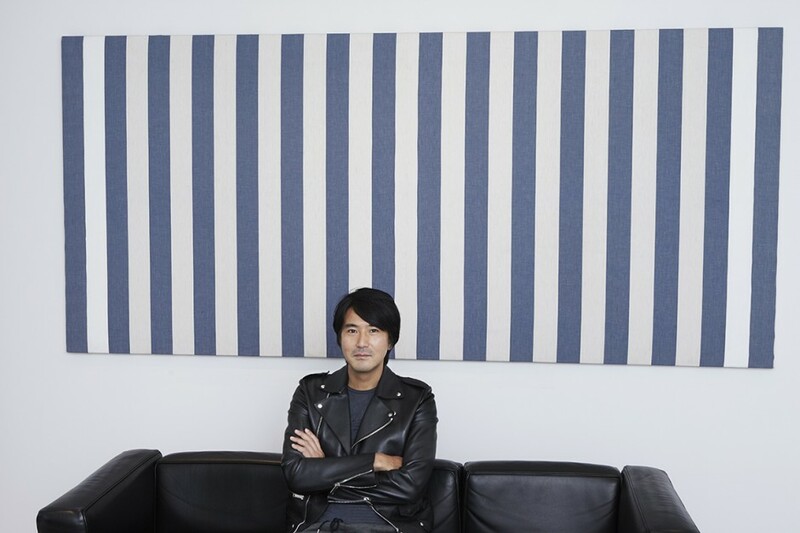 Kazunari Shirai in his office with Josh Smith, Untitled (JSP08813), 2008. Photo: Satoshi Miyazawa. Courtesy of Kazunari Shirai.